I’ve been craving winter food lately. You know the type: warm and comforting, with extra points for being buttery, gooey, or cheesy. It’s why I probably nearly ate my weight in the bacon dip I posted last week (oops). I love me a gratin. Grah-taan. Seriously, what’s not to love? A creamy layered center, soft-but-still-firm starchy vegetables and the best part: a crispity crunchity top. 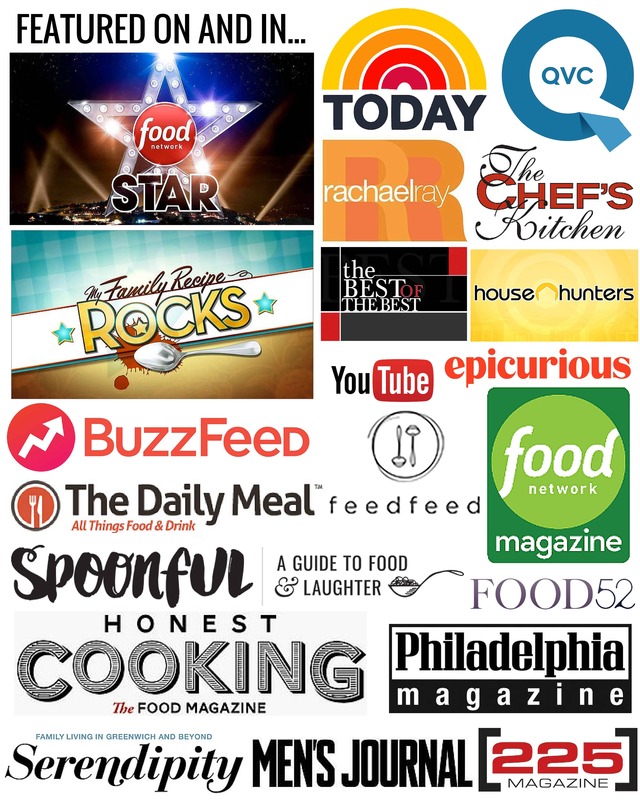 It meets all of the criteria for a perfect winter food. I first learned how to make a classic potato gratin in culinary school. This was not the potatoes-au-gratin from my childhood. 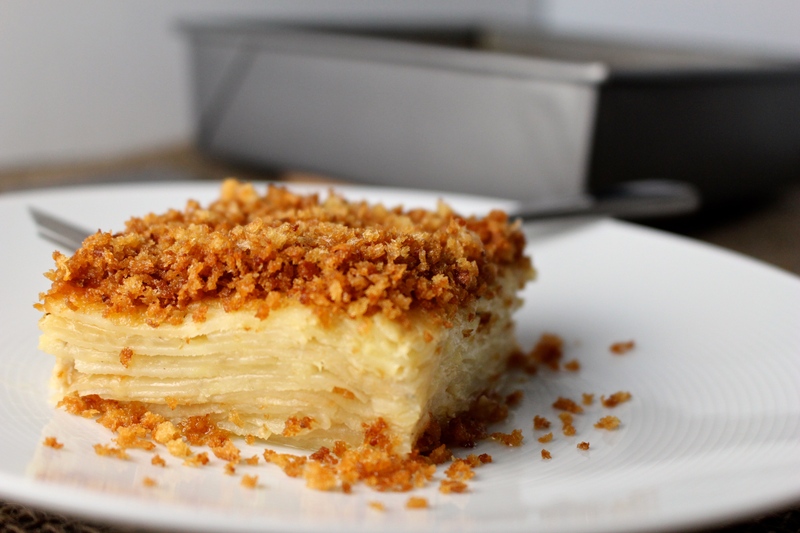 No, No, Noooo- This gratin had potatoes sliced super thin, cooked in cream, perfectly seasoned with just a touch of nutmeg, a sprinkling of gruyere cheese and buttered breadcrumbs, beautifully browned under a broiler. A few days ago, potato gratin popped into my head and it was all I could think about. I wanted it in my belly. And I wanted it bad. I decided that if I roasted a chicken for dinner, it would be an excellent excuse to just eat a big plate of potato gratin with maybe a little chicken on the side. But when I went into the pantry to get the potatoes – a staple I allllllways have on hand – I found that they had all gone bad. Ever smell a rotten potato? It’s got to be one of the foulest, most rancid scents in the universe. I had quite a dilemma on my hands. Not only did I have a bunch of nasty liquidized potato goo to clean up, I was also missing the most important ingredient for the dish I was so badly craving, Going out to the store for just one ingredient? No sir, I’m much too lazy for that. So to the fridge I went, and whispered a little prayer in hopes to find a substitute. I tend to stock up on all sorts of different veggies when I make grocery runs off-shore, and never know quite what I’ll find lurking in the fridge. When I opened the crisper drawer I saw these two handsome root vegetables staring right back at me. Celery root and parsnip: today is going to be your day. Pairing these two roots together is nothing new. When they’re simmered until soft and then buzzed into a silky puree, it makes a lovely substitute for mashed potatoes. In fact, that very puree was served as an accompaniment to steak at our wedding, so this combination of flavors is especially meaningful to me. Ok, it’s not really that special. But lets pretend! 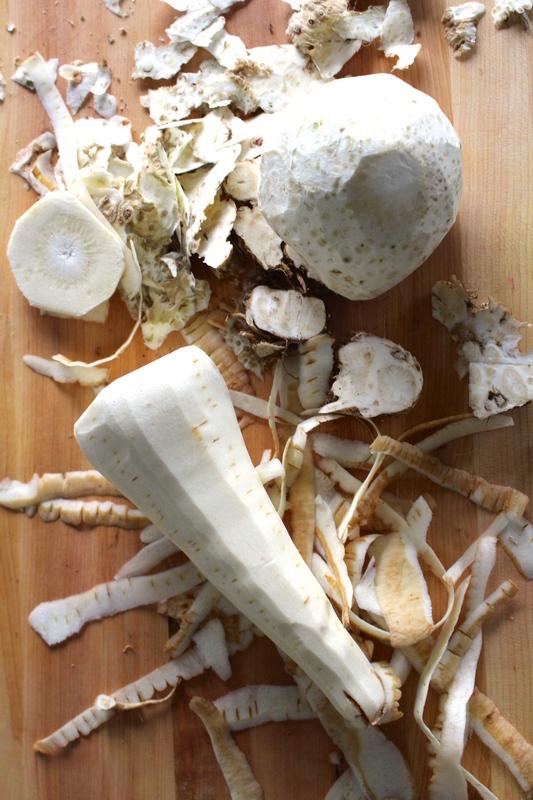 If you’re not yet privy, parsnips look just like white carrots and have a similar flavor too. They’re sweet like carrots, but starchier and ever so slightly bitter. 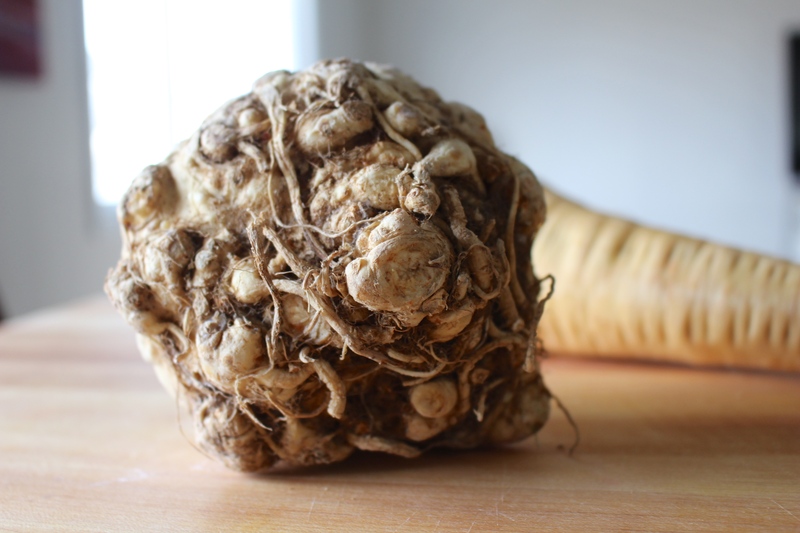 Celery root is exactly just that – the root of the celery plant – and has a gnarly, gangly appearance. I just love the way it looks, and it smells intoxicatingly fresh when you cut into it. The flavor is very similar to celery, only milder and sweeter. Texturally however, it’s more along the lines of a turnip. Once peeled, they both reveal beautiful, creamy shades of winter white. Did you know you could wear white after labor day? Parsnip and celery root have been workin’ it like this for decades. This gratin is almost like an optical illusion. From it’s appearance alone, it looks just like a potato gratin. But as soon as you bite in, your mouth is overtaken with the unique flavors and you instantly know that it’s not potato you’re eating. It’s sweeter, with subtle notes of celery, a soft creamy texture and far more depth than a simple potato could ever dream of. Don’t worry potatoes, I still love you. But this week, you turned on me and were downright rotten. Celery root and parsnip saved the day! And for that, I will forever be grateful. Peel both the celery root and the parsnip, using a knife to remove the tougher and more gangly parts of the celery root. Use a mandoline to shave them both into very thin slices. You can use a knife to do this, but the mandolin will result in slices with much more even thickness. Grease the bottom of a gratin dish, pie plate, or other small-medium baking dish. Place down one even layer of celery root, then sprinkle with a generous amount of salt and pepper, then top with a layer of parsnip. 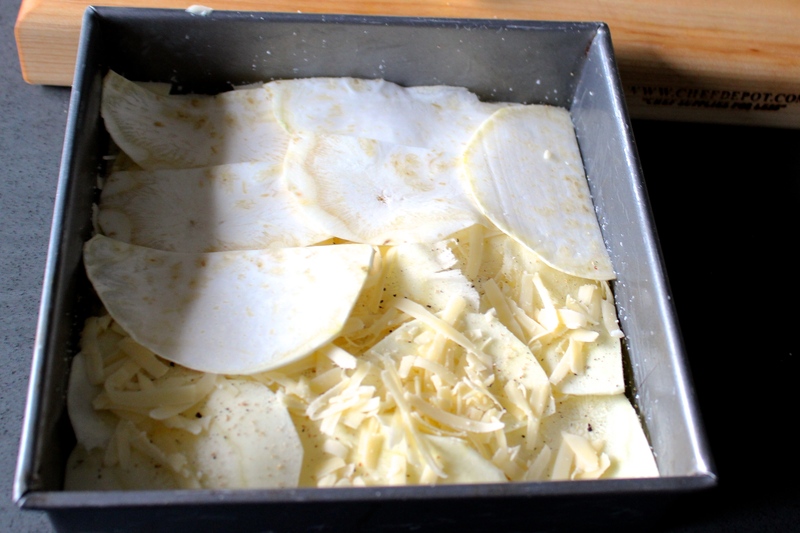 Sprinkle the parsnip layer with more salt and pepper, along with a tiny bit of nutmeg and a sprinkle of gruyere. Repeat this process until all the vegetables, cheese and nutmeg are gone. Be sure to finish with a layer of cheese. Pour cream over and press down to release any air bubbles. Preheat the oven to 350 degrees. Cover the dish with foil and bake in the oven for about 45 minutes. While the gratin is baking, prepare the topping. Heat the olive oil and butter in a sauté pan over medium heat and add in the minced garlic and then the breadcrumbs. 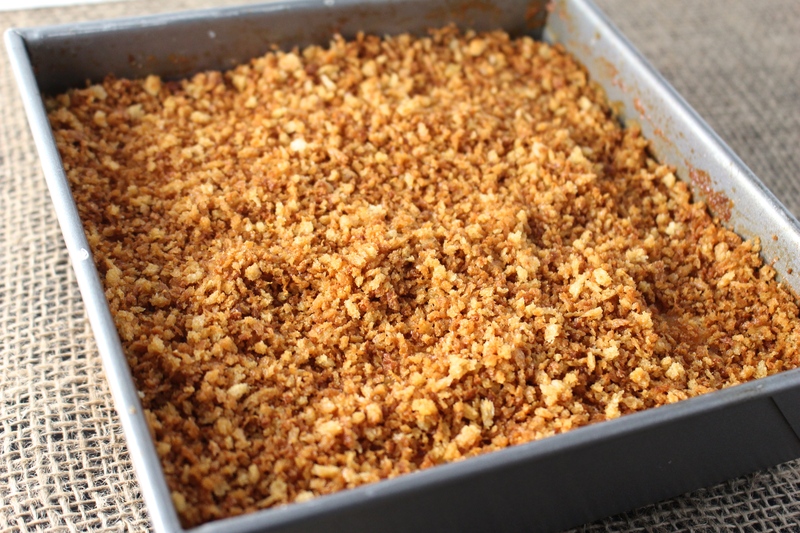 Toss and move the breadcrumbs around the pan until they are evenly browned, about 3-5 minutes. 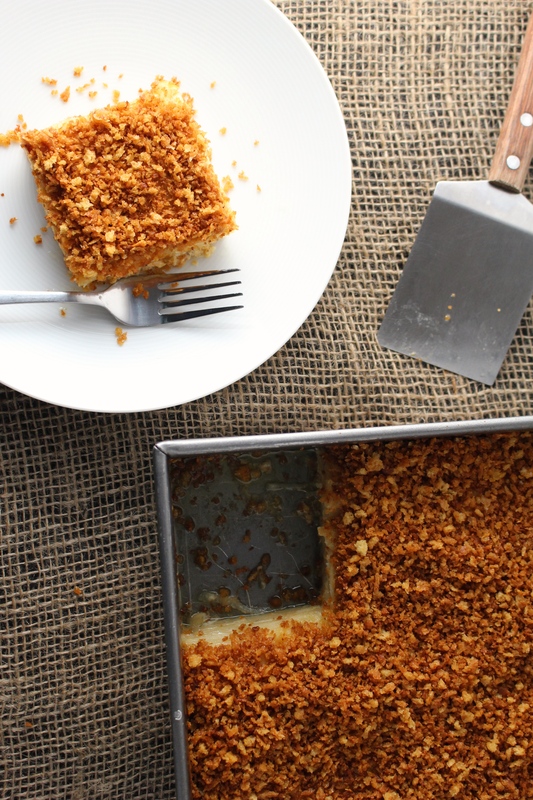 When the gratin is almost cooked through, remove the foil, top with the breadcrumbs, and put back in the oven for an additional 15 minutes. 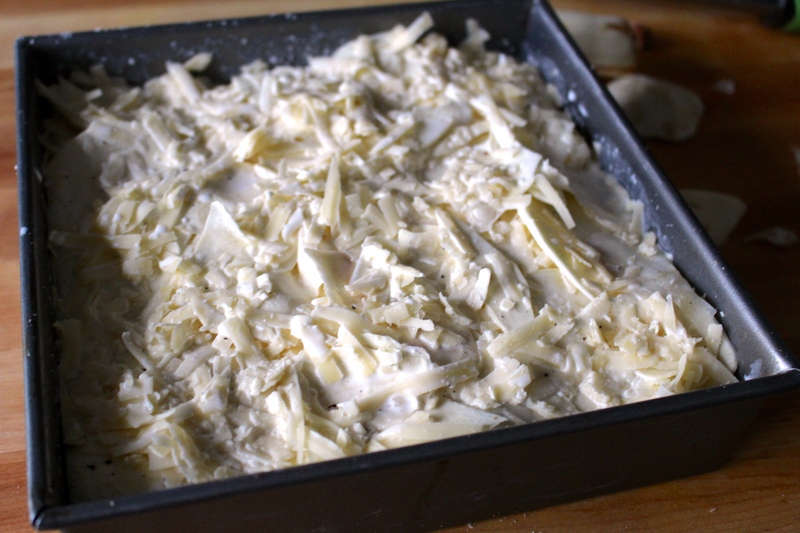 Remove the gratin from the oven and allow it to rest for about 10 minutes before serving so that it can set up. blood sugar levels. Diabetes is confirmed by testing blood glucose levels. What do I do with the heavy cream?!!! Ack! It gets poured over the potatoes after being layered and before baking. Adding to the recipe now!